Savory Hard Irish Cider Dip. With Soda Bread Crutons and Shamrock Bacon Confetti. Stuffed Carrot Garden Cupcakes. They Are Cupcakes Stuffed With Stuffed Strawberries. I’m So Confused. 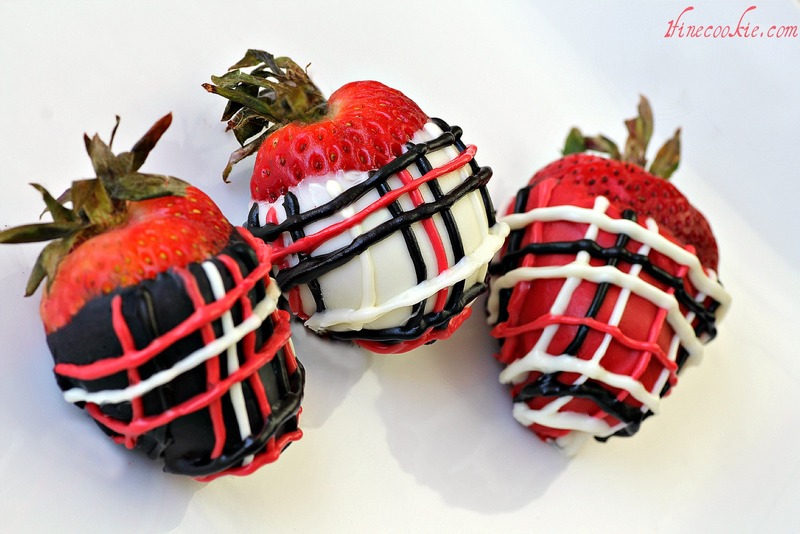 Cookies & Cream Stuffed Strawberries. Covered in Plaid. Eat Your Heart Out, Ralph Lauren. Oh, you think I only stuff cake into strawberries? 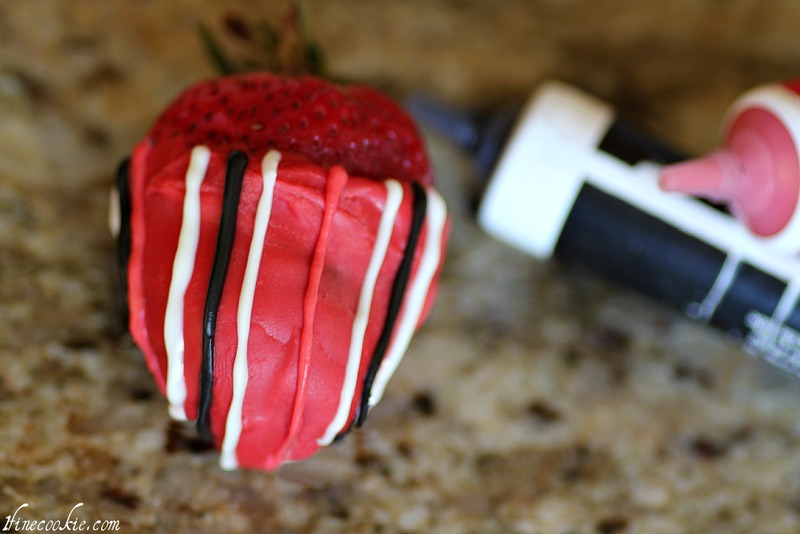 Although the cupcake-stuffed strawberry is my most popular recipe creation since I started baking, I like to switch it up from time to time. Think about it. Chocolate cookies, whipped cream, and strawberries. All dipped in white (or milk or dark if you prefer) chocolate. What is there not to like? 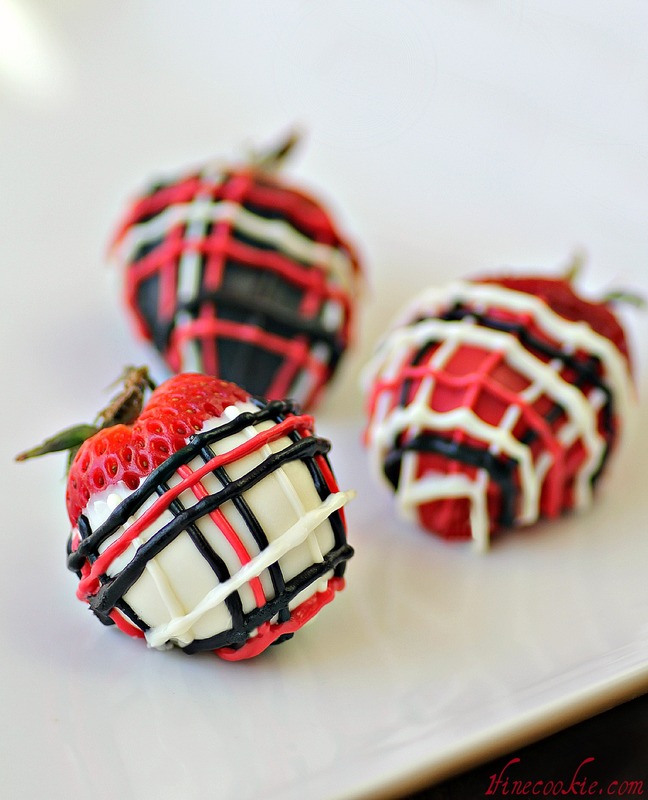 I also show you how to decorate the strawberries with a plaid design. Why? Because I’m from New England,Â where plaid is cool. It could be worse. I could be decorating it in flannel. Or a fake tan. Ahhhh I love New England. Tea Partayyyyyy. You don’t have to stick with the colors I use. You can pick your own and customize them for whatever theme. Just select some giant strawberries and get started. A little more modest? Just stuff with the cookies and cream and dip in regular chocolate. The flavor alone is a crowd pleaser. 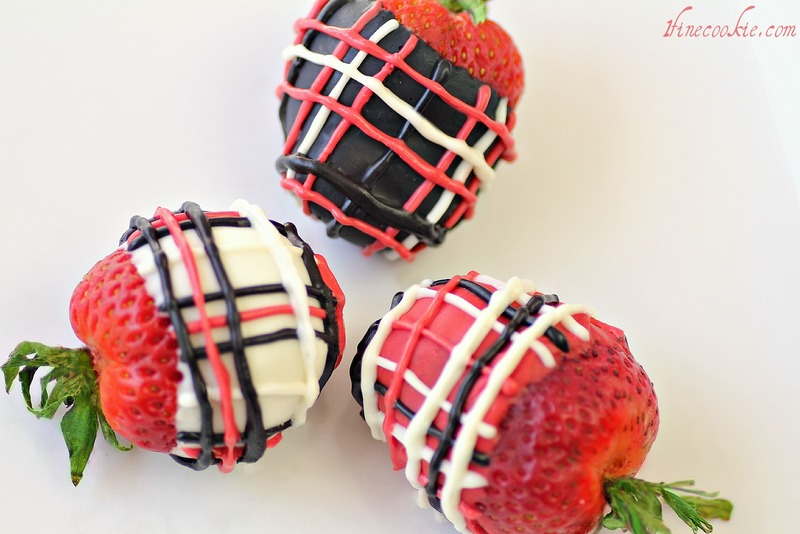 They are so pretty and indulgent,Â you really only need to make a few. Serve on a platter, cake stand, or inÂ a box as a gift. I know a few fellow New England gal pals that would go crazy for the plaid. Eat your hear out, Ralph Lauren. Begin by making your cookie crumbs. 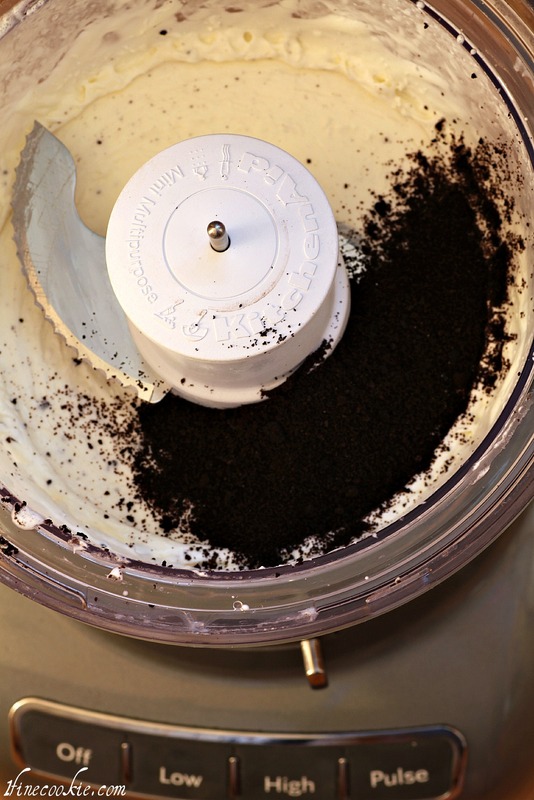 Use a food processor to bread up your cookies. If using Oreo cookies, it’s up to you if you want to keep the cream middle. I scraped mine off as I felt the candy melts and cookies have enough sugar as is. I like to watch the food processor. Just like a cat enjoys staringÂ at a fish tank. Now whip some of your heavy cream into whipped cream. 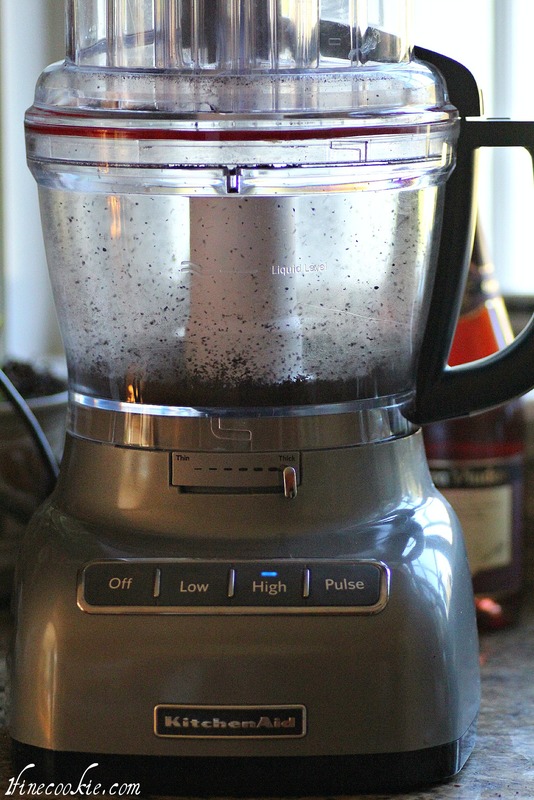 Pour into a small food processor. No chilling needed. Mix on high until thick and fluffy. I do not add sugar to the cream. You are more than welcome to do this. I just felt it was sweet enough without. I did not tell you what proportion of cream and cookie crumb to use. This is up to you. Sometimes I use a lot more cream. I usually fill intoÂ a plastic bag or pastry bag, snip the corner/end and pipe into my strawberry. It is a little more difficult to handle this way, but I like it. For the sake of this post, IÂ add in enough cookie crumbs to make it moldable for pushing into the cookies but not to dry so it doesn’t fall apart everywhere.Â I used my fingers. If you complain about messy, get over it. Pansy. It’s called soap and water. 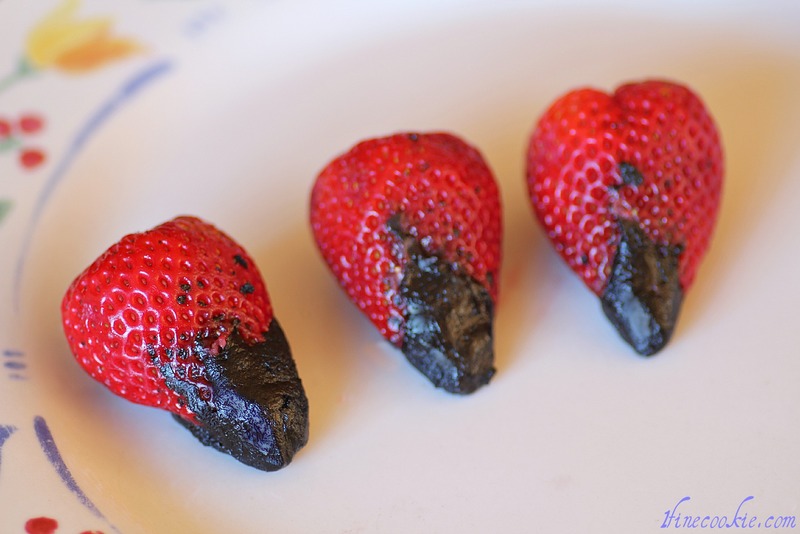 Use it after stuffing the strawberries. 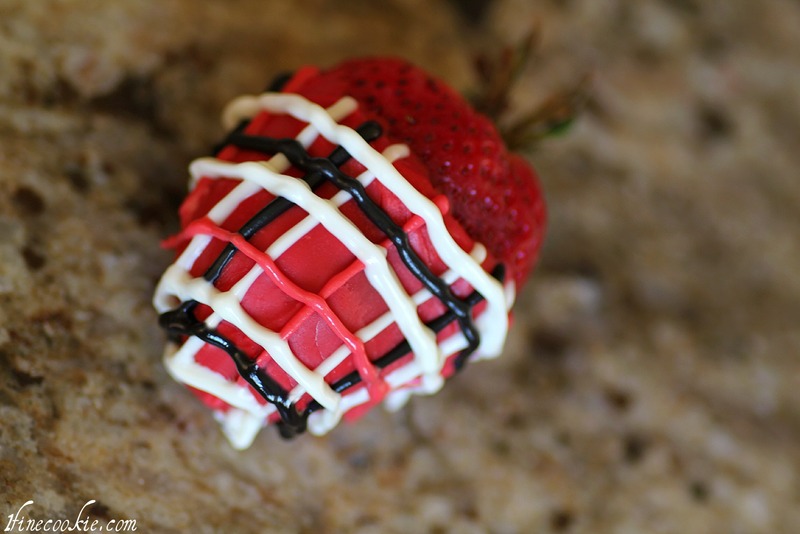 If you have not seen my other stuff strawberry recipes, then you will need to see how to create the mold. Click here for that. Once cut and filled. Refrigerate until firm. 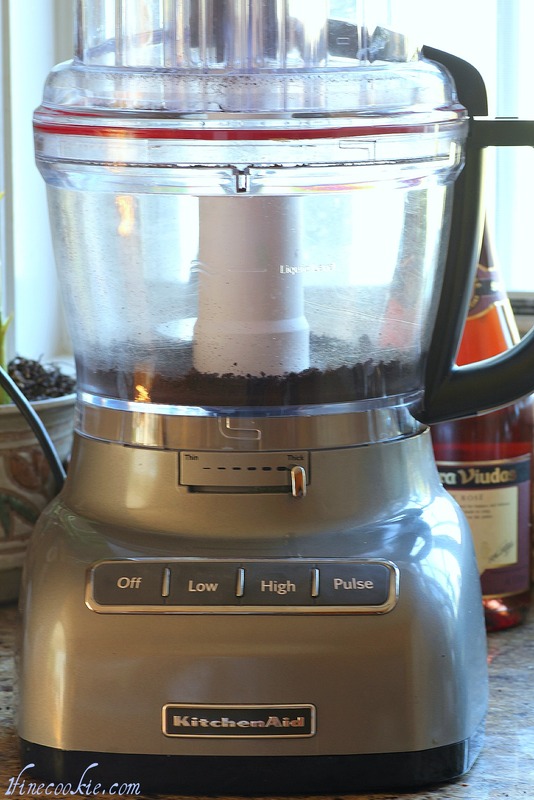 Melt your candy melts in a glass jar or mug in the microwave in 15-second spurts. Stir in between until it is smooth and melted. 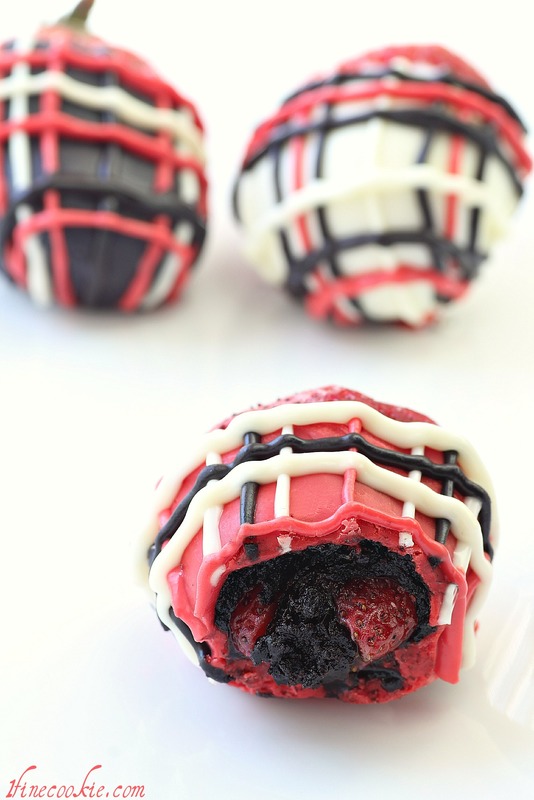 You can either use the technique of a fork like I did from the cupcake-stuffed strawberry recipe, or you can hold the top of the strawberries with your fingers and dunk it. My strawberries were small enough this time for me to use my fingers to hold them. 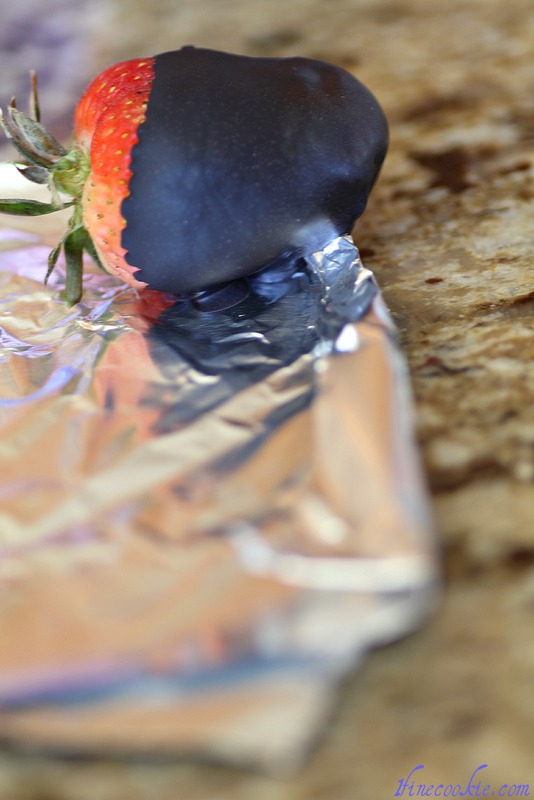 WhenÂ I placed the strawberry down I folded some of the aluminum foil so that the strawberry was tipped. This helped prevent a huge puddle of candy melts/chocolate around the bottom. 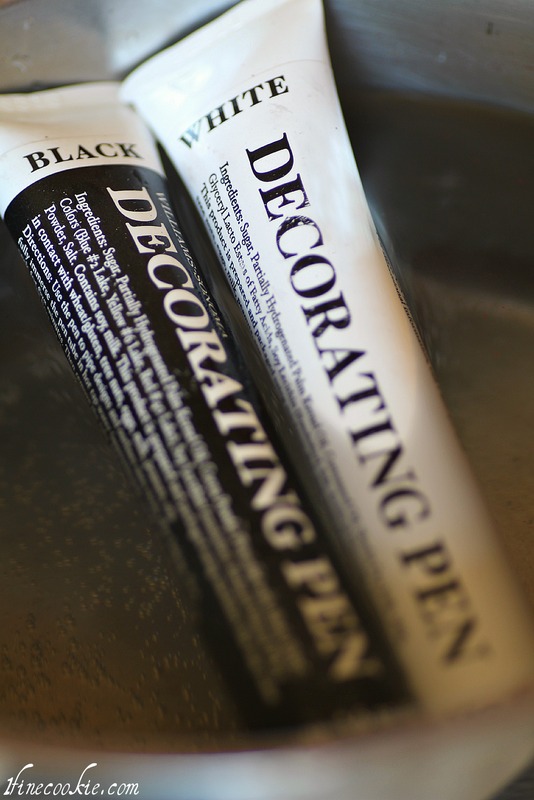 Place decorating/candy writing pens into a pot of water. Heat water on low. Keep an eye as you do not want to overheat the candy. Once the pens are not stiff, remove from water. I find them to write a little too runny when I first remove them so I wait a few minutes. To create the plaid look, I suggest practicing on a piece of wax paper or paper plate. Draw a series of stripes with three colors. This is my order: white, black, white. Then I leave a space. Red. Then another space and white, black, white. Color 1, color 2, color 1. SPACE. Color 3. SPACE. Color 1, color 2, color 1…. and so on. Simply select your colors, number them, and write them down accordingly if you are pattern impaired. Once the stripes dry, pipe out the same pattern horizontally with your candy writers. I’m so ready for my plaid shorts and polo shirt. Don’t forget to eat them too! ****If you are considering posting up photos or ideas from this or any other posts I am truly happy that you are excited and find my recipes interesting enough to share with others. Please see copyright standards in the footer (bottom) of this or any page before posting. 2 Responses to Cookies & Cream Stuffed Strawberries. Covered in Plaid. Eat Your Heart Out, Ralph Lauren. see I would so eat fruit more it is always was stuffed with yummy stuff!